The advancement in technology has resulted in the booming of several I. T. Companies that cater to the needs of such companies at a National level and on a global level. The popular courses in today’s day and age are Engineering, Medicine related, Commerce, Arts, Social Sciences and Computers being one such course. I’m sure that most of us are aware of these courses and a few of us have even decided to pursue a career in Computers due to the high pay packages. But can we honestly say that we are aware of the various job prospects that are available? For computer aspirants having all the possible information about the different career prospects is a must. Therefore lets find out the different career prospects. Computer Software Engineers: these individuals develop and design software such as business programs, operating systems, applications and even computer games. They apply principles of computer science and mathematics when designing the software, applications and computer games. The other reasons for developing softwares is to cater to the needs of businesses and individuals. The minimum qualification required is a bachelors degree in Computer Science, Engineering or mathematics. Other career prospects that have a bearing on this profession are Computer Applications Software Engineers and Computer Systems Software Engineers. Computer Programmers: these individuals are in charge of writing programs that Computer Software Engineers design. They design, develop, test and implement software applications that run on computer systems. These individuals use a variety of software development tools such as programming languages and frameworks to create applications designed by Computer Software Engineers. The minimum qualification required is a bachelors degree although there are some companies that hire individuals with certifications alone. But if one wishes to grow then they should posses at least a graduate degree. Computer programmers need to constantly under go training to keep themselves updated with the changing technology. Apart from this the constant training increases the prospects of growth as well. Computer System Analysts: the role of these individuals is very important from the prospect of a business or a corporation. The job of a system analyst involves the creating and designing of computer systems or reformatting and improving an already existing system. An applicant aspiring for a career as a Computer System Analyst is required to have a minimum qualification of a bachelors degree. Other branches that arise are Systems Engineers or Systems Architects. These individuals are also in charge of creating documentation and training to lay down policies and procedures to follow when using the created computer systems. Graphical User Interface (GUI) and User Experience Designers: it is common knowledge that all computer systems and Applications require a GUI so that computer users can operate computer software and systems. Therefore these individuals create the application and system screens for the same. To provide a user friendly experience for users these individuals make use of their creativity, marketing and technical skills for the same. Computer Hardware Engineers: these individuals research, develop, design and test computer-related equipment for the purpose of scientific, military, industrial and commercial use. The qualification required to work as a Hardware Engineer are a bachelor’s degree in computer science, engineering or mathematics is sufficient. Network Administrator / Network Support Technician / System Administrators / Network Systems and Data Communication Analyst’s: Most computer systems run on a network which comprise of a LAN (Local Area Network) or a WAN (Wide Area Network). These profiles have individuals who are network architects and engineers. These Architects and Engineers design, support, repair and maintain the computer networks. Apart from this they also ensure that all the information that is transmitted and stored on computer networks is secure. Database Administrator: is responsible for the implementation of changes that may be required for the database. Apart from this they monitor and implement security measures if required for the safety of the computer databases. The minimum requirement is a bachelors degree. Computer Support Specialist / Tech Support Administrators: the profile of such individuals consists of providing assistance and support to companies and people who need information technology (IT) advice. They may also provide assistance to computer users in relation to troubleshoot hardware and software problems, design, install and maintain corporate computer networks and handle network security concerns. Some companies hire individuals with a certification alone but most require at least a Bachelors degree but it is preferable to have a Masters degree for better growth prospects. 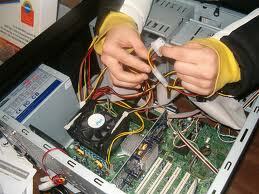 Information Technology: is basically technology that allows users to transmit and store information. Phones, computers, faxes and the Internet are different kinds of information technology. The duties of Information technology specialists and administrators comprise of planning, implementing and troubleshooting information technology systems for businesses as and when required. 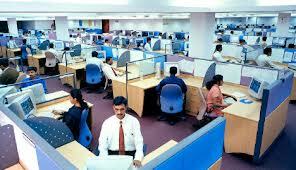 Web developers, database administrators and IT training consultants all come under the IT field. Project management and Information Technology (IT) Business Analyst: a career in these profiles involves the technical and business aspect of computer-related careers. These individuals use technical, financial and business skills to ensure that the computer-related projects and services are completed on time and meet the organization’s needs within a specified financial budget. IT management is one of the most popular computer careers that trains these individuals to develop and manage information systems that most businesses rely on. Website developers and Graphic Designers: the main role of these individuals is to handle the technical side of website creation and develop various applications for websites. These individuals use their creativity and artistic abilities, along with their knowledge of computers, to produce on screen graphics, animations and Web pages. Artificial Intelligence: these profiles comprise of Computer professionals that work in artificial intelligence. These individuals create computers that simulate human learning and reasoning abilities which may be employed by security companies, the government or the space program. This field trains the robots “to think”. Computer Scientist: these individuals usually work for manufacturers and system design firms. They conduct research that leads to the development of new types of computer hardware. The job profile consists of identifying a problem or challenge that is related to computers and then they work towards finding a solution to the problem. They tend to develop a theory or a possible solution to the problem and derive a method to test their theory. After all these requirements are satisfied they then conduct their tests, measure the results and conclude with a written report explaining their findings. These individuals may develop virtual reality systems and video game units, design computers that power robots used to perform automated tasks in factories or to complete tasks in places people cannot easily travel, such as in space or at large depths in the ocean are some of the things that scientists may work on. These are some of the various career options available to computer aspirants. Nevertheless it is advisable to speak to professionals to find out more about these careers and the job profile.